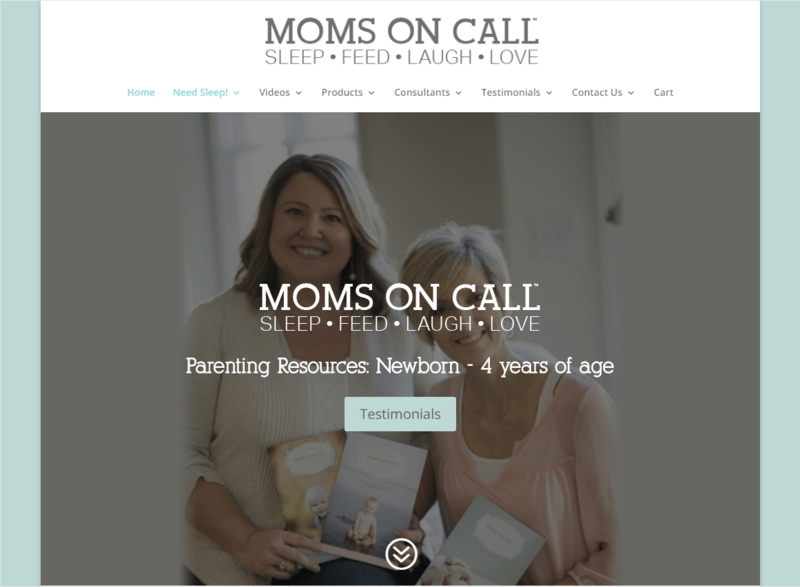 Moms on Call came to me with a problem: Their old designer/host has all but disappeared, and they needed their site brought back to life. Seeing as I thoroughly enjoy solving nearly impossible problems, problems like “we need to get a website off of a server without breaking any laws, and we can’t get ahold of the person who owns that server” I was all too happy to take this task on. After successfully migrating the site to a new host, I was asked to update the site by modernizing it’s look and feel, as well as giving it the responsive love it needed. When I first inherited the Moms on Call site, a lot of outdated design practices were present. One of these was the size and design of the logo in the site header – it was great a few years ago, but it needed a bit of a refresh! Everyone can have a store online, but that doesn’t mean that every store needs to look exactly the same. I take pride in displaying product pages in a clean, welcoming format, especially when the total number of available products is small. The WooCommerce grid layout is effective, but it’s not always the most attractive. Modern, clean, responsive design – built to the client’s specifications. …CloudFlare to deliver it reliably. Because a great website that’s not available is not a great website. Moms on Call sells a lot of product directly from their website, and has at times unpredictable traffic patterns. That’s why I felt that supporting their site with CloudFlare was the best option to minimize potential interruption in service, as well as lighten the load on the server. You shouldn’t have to pay for more server than you need on average – and CloudFlare helps to keep that usage graph looking smooth. Interested in Web Development or Web Presence?